Home Unlabelled Robin Thicke: "Hey Hey Hey..."
Last week, free London newspaper ‘The Metro’ had a feature where they ranked the worst lyricists, I believe a list compiled from public voting, and I was fairly sad to see Robin Thicke listed as #3. 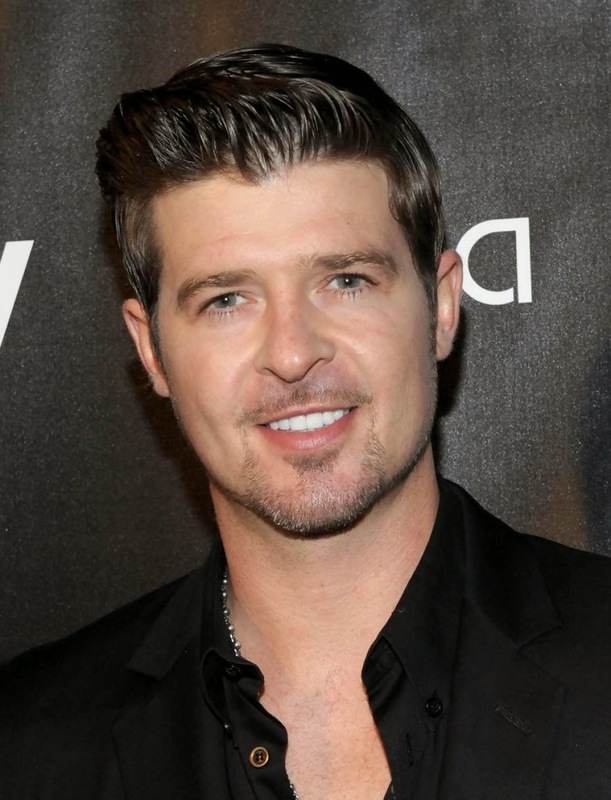 The gift and the curse that was ‘Blurred Lines’ continues to be a double-edged sword for Thicke – while he’s gone on to become a household name with the biggest song of his career, and one of the biggest songs this century, the criticism for “rapey” lyrics persists as well as an unfortunate downturn resulting in an ill-advised (and much-discussed) MTV dancing session with Miley Cyrus, a lawsuit with Marvin Gaye’s family, the very sad end of his marriage to Paula Patton which was subsequently documented in his most recent album ‘Paula’, with disastrous sales numbers including reportedly just 500 in its first week. The rocket ride for Pharrell – the song’s producer – seems to have been meteoric however – follow-up songs ‘Get Lucky (with Daft Punk) and ‘Happy’ require little explanation, the release of heavy chart selling album ‘Girl’, and continued production work with Paloma Faith, Ed Sheeran and a host of hip-hop, R&B and pop luminaries.